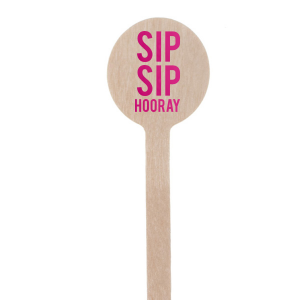 Show off your taste in every detail with custom round stir sticks from For Your Party. 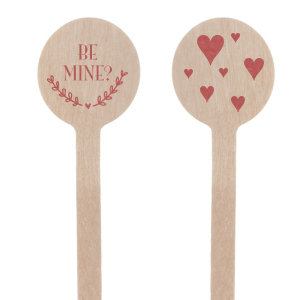 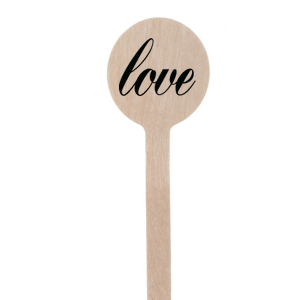 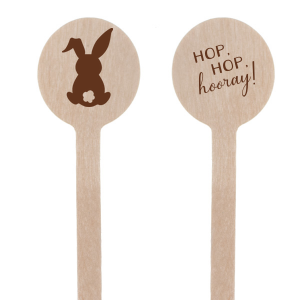 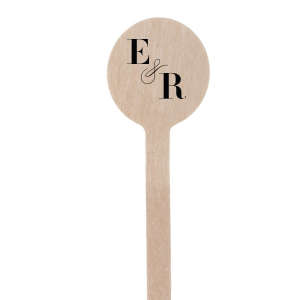 These adorable swizzle sticks are always a fantastic addition to your wedding drinks—guests will think of you with every sip! It doesn't matter if you're planning a black tie wedding or a backyard boho wedding, foil stamped barware will fit in perfectly. You can add your personalized monogram, wedding date or even destination location to your round stir sticks. 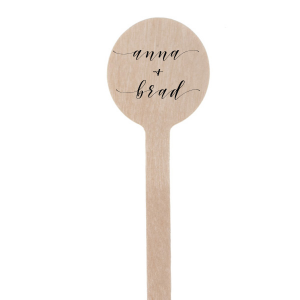 With a full library of wedding themed clipart, you can also add a cute graphic to add to your wedding decor. 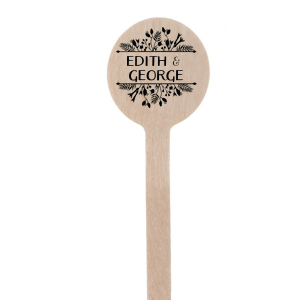 Looking for custom stir sticks for a different event? You need drinks at every party! Our graphics extend to many other events so that you can create bridal shower barware, graduation party barware, corporate event barware and more. 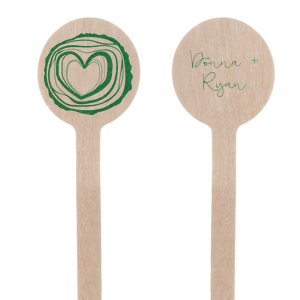 Whatever the event, you can create your ideal custom round stir sticks with our easy-to-use customizer. Wooden round stir sticks are also eco-friendly and can be used in hot or cold drinks. 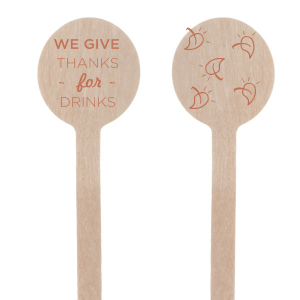 That's right, they work great as cocktail stirrers and coffee stirrers. 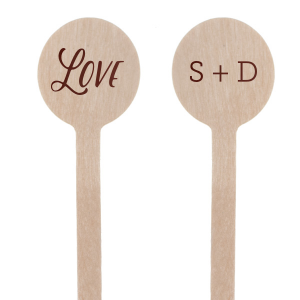 You can also get creative and use them as custom food skewers. 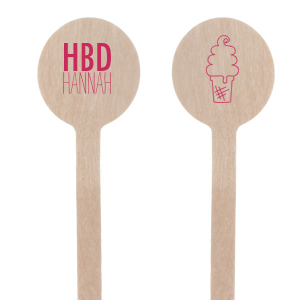 Personalize your round stir sticks today!